You’re probably not familiar with any of these teams. 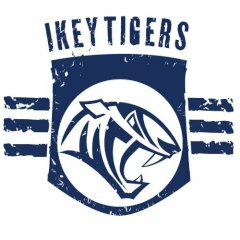 However, this obscurity did very little to stop FNB UCT Ikey Tigers from making history by staging one of the greatest comebacks in the world of rugby. The two teams locked horns way back in 2014, with their eyes on the South African Varsity Cup. In just five minutes after the kick-off, FNB UCT was trailing 15 to 33. In the eyes of many fans, the match was already dead and buried. However, the Tigers came from behind to score three tries in succession, quickly turning the game on its head. What was even more spectacular was the winning try, which was kick-started with a clever sidestep and a stellar flick pass. The move ended in some form of fashion. This is perhaps the greatest comeback the history of the Rugby World Cup. It occurred in 2015. At 28 minutes into the match, Canada was leading with a huge margin- 15-0. At that point, everyone saw Canada as the sure winners of the match. Thanks to two tries from Mihai Macovei and Florin Vlaicu’s penalty in the dying minutes of the game, Romania overturned the 15-point deficit and went on to win the match 17-15. The result meant that Canada had, for the first time, lost all of their group matches (four) at the tournament. As a rugby fan, a throwback to 1999 takes you to the rugby World Cup semi-final, which was hosted in Twickenham. In this match, France came from behind to beat New Zealand 43 points to 31. At 44 minutes, New Zealand was leading 24-10. This 14-point margin looked enough to propel New Zealand to the final. All of a sudden, France burst in energy, and Christophe Lamison executed a stunning performance, helping his country to gather 26 points within a very short span (13 minutes, to be precise). It’s the 2010 Six Nations, and Scotland is ahead with a 10-point margin. Only three minutes for the referee to blow the final whistle. At this point in time, the game is in the hands of the Scots, and it looks like it is already won. There is no way the opponents could overturn the margin in such a short time, right? Wait a minute because you’re wrong. Wales’ Leigh Halfpenny puts in a stunning performance in the 77th minute by sprinting down the wing and then touching down between the sticks. Stephen Jones converts, kick-starting an unbelievable and dramatic comeback. Only 90 seconds for the match to end, Shane Williams scores a try that wins his country the game. This sends fans, coaches, and teammates into a state of euphoria. What a comeback!